Is Your Business Safe from Climate Change? Climate change poses global threats to the environment, but do you know how it will affect the quality of life where you live and work? If you own a business, do you know how climate change will affect your bottom line? A recent report called Risky Business: The Economic Risks of Climate Change to the United States helps businesses identify and prepare for the specific, local risks that climate change poses. To the average citizen, climate change may feel abstract, and many people believe that only coastal communities will be affected. However, the Risky Business report draws attention to effects far beyond sea level rise, including mortality, storm surge, crop yields, and energy, to name just a few. For the first time, individuals can narrow in on their region to learn which issues are most relevant in their state, discovering how closely climate change will affect all of us. The Risky Business Project’s website makes the group’s report highly interactive and more informative. Due to the many videos, images, and charts found on the website, visitors can easily digest information on climate change risks. For example, the website contains a video designed to help individuals understand the progression and threat of extreme weather changes. What makes the report truly unique is the focused analysis provided. By breaking the US into regions and states, Risky Business targets the climate concerns in specific parts of the country as well as nation-wide. The website then allows individuals to scroll through date on their prospective locations. The report focuses on climate risk education in order to provide businesses with the information necessary to begin taking action to sidestep catastrophe. It highlights three areas to reduce risk: business adaptation, investor adaptation, and public sector response. Throughout various sections of the report, one thing becomes clear: a shift towards sustainable business and investment needs immediate action. Damages from storms, flooding, and heat waves are already costing local economies billions of dollars—we saw that firsthand in New York City with Hurricane Sandy. With the oceans rising and the climate changing, the Risky Business report details the costs of inaction in ways that are easy to understand in dollars and cents—and impossible to ignore. To learn more about climate change and find your business’ next move, visit the Risky Business Project website. 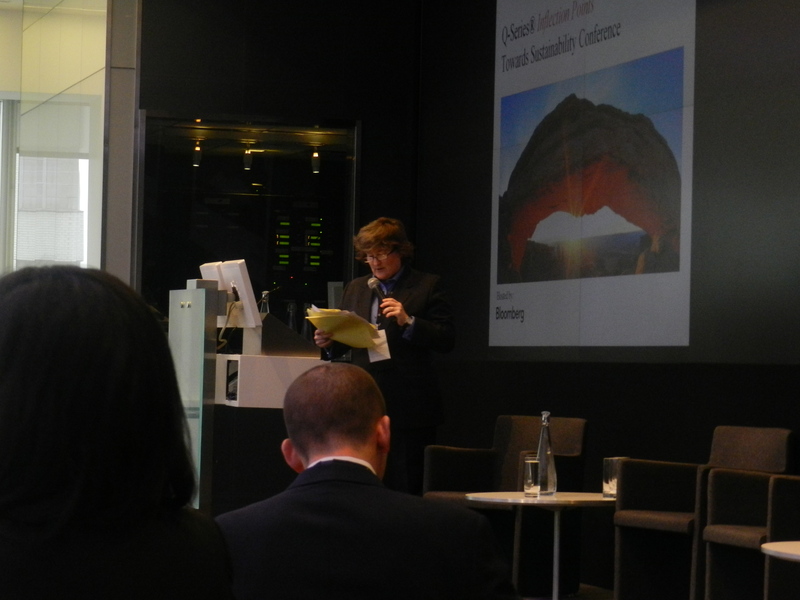 June 3rd 2014 marked the launch of the Global Innovation Lab for Climate Finance, a partnership between the US, UK and German governments with several private sector representatives to develop and promote climate finance instruments globally. The lab includes leaders from governments and financial institutions who will identify and analyze financial opportunities for private investment that could have large-scale impacts on both climate change mitigation and adaptation. Overseeing the analysis of proposed climate finance instruments are the Climate Policy Initiative and Bloomberg New Energy Finance. Lab Principal Purna Saggurti, chairman of global corporate and investment banking at Bank of America Merrill Lynch said: “We look forward to sharing our experience from structuring and financing numerous transactions in clean energy, green bonds, and environmental markets.” Bank of America, a Wharton IGEL corporate advisory board member, along with Merrill Lynch have already committed to mobilize 70 billion dollars for low-carbon business opportunities. Large-scale investments are required to reduce emissions and adapt to the effects of climate change, according to the United Nations. The Global Innovation Lab for Climate Finance’s push to incentivize climate investment may be viewed as a major step towards mitigating the adversities of a changing climate. The lab has already attracted more than 80 ideas for potential climate finance instruments from the public and private sectors, and hopes to attract billions in private investment for climate-conscious investment opportunities in developing countries. Changing the dialog around climate change from financial burden to opportunity may be the greatest motivator to bring about a new era in climate action. Keep an eye out for chosen ideas to be released by the lab in the coming weeks. Also, stay tuned for Knowledge@Wharton Special Report on this topic coming later this year.